Black bears are common in the area. In 2004, three bears had to be destroyed because they became habituated to eating food and garbage left out by careless campers. Please read more on bear safety. Nestled among an open stand of spruce, fir and regenerating young forest, Lac Le Jeune Park appeals to campers and anglers seeking an easily-accessible getaway spot. The park offers a diverse assortment of recreational activities including swimming, fishing, boating, hiking, biking, and nature appreciation. The campground serves as a base for recreational use at both Stake and Walloper Lakes. The park sees high use during the summer season. During the winter the area is used for cross-country skiing with no vehicle access. Special Feature: The park land addition in 1996 protects large marsh areas. The park is used for informal cross-country skiing in the winter and connects to the Stake Lake Ski Trail system. Off-season: self-contained units (please choose a vacant campsite); sani-station is closed; no fee; no services. Take the Lac Le Jeune Exit off Hwy #5 (the Coquihalla) at 37 km south of Kamloops/47 km north of Merritt. There is also 26 km of paved access off the Hwy #1 at Kamloops. Due to its elevation, at 1,280 metres, the weather is cooler, a welcome relief from the desert conditions of the valleys to north and south. History: The original 47 hectare park was designated in 1956. An additional 118 hectares of upland and 48 hectares of foreshore was designated in 1996 as a result of recommendations made in the Kamloops Land and Resources Management Plan. It was intended that the addition be kept natural, with no development or vehicle access. The park will be managed according to the Management Direction Statement for Lac Le Jeune Park. 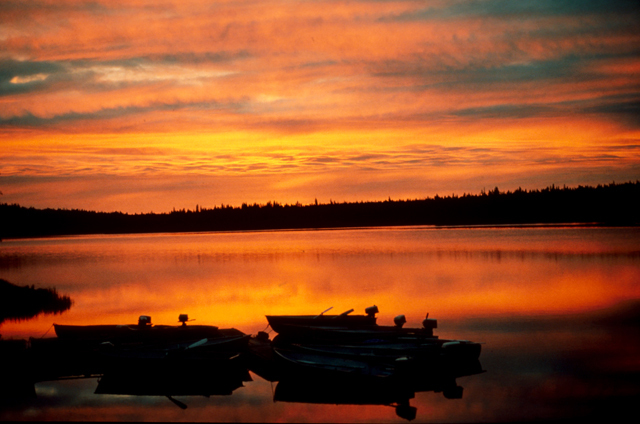 Conservation: The park protects upland and riparian habitats on portions of Lac Le Jeune. The trout fishery is provincially significant. A marsh on the east side of the lake is protected. A sunscreening canopy of lodgepole pine plays shadows on the pine grass of this lakeside park. The waters of Lac Le Jeune are famous for fighting rainbow trout. Cycles of Change [PDF] – Flyer about the Mountain Pine Beetle in Lac Le Jeune Provincial Park. Wildlife: The park provides habitat for moose, mule deer, beaver, osprey, song birds and waterfowl. The approved management plan for Lac Le Jeune Provincial Park [PDF] is available in PDF format. Canoeing and kayaking opportunities are available in this park. Bicycles must keep to roadways. Bicycle helmets are mandatory in British Columbia. Cycling opportunities are available on the Gus Johnson and Stake Lake trails with over 45 km of trails. Lac Le Jeune is famous for its rainbow trout fish, an average size of 1.5 kgs. There is a 250’ long fishing wharf located in front of the day-use area. There are numerous area lakes providing ice fishing opportunities during the winter season. Anyone fishing or angling in British Columbia must have an appropriate licence. The Gus Johnson trail circles the lake. through forest and skirting wet meadows. It is approx. 8 km in length. From the park there is access to the Gus Johnson trail and the extensive Stake Lake trail system. Stake Lake provides over 45 km of trails. Both trails are used for hiking, biking and cross-country skiing. Naturalist, interpretive and educational programs are being held during the summer season. Programs are designed for children but entertaining for adults as well. The programs are educational and include guest speakers, presentations with animals from the BC Wildlife Park and various types of entertainment. There is no charge for the presentations. The interpretive programs are held at the amphitheatre unless it rains and then held in the picnic shelter. There is 146 metres of sandy beach. Swimming is popular and there is a sectioned off swim area. There are no lifeguards on duty at provincial parks. Moose, bear, lynx and other animals can be seen along the Gus Johnson and Stake Lake trails. Many birds, including waterfowl, are found along the lakeshore. Watch for great blue heron waiting motionless at the water’s edge. Cross-country skiing is popular on the Gus Johnson trail on the east and south side of the lake, and the adjacent Stake Lake ski area provides 45 km of groomed trails. Snowshoeing opportunities and ice-skating are available in the Stake Lake area. There are numerous area lakes providing ice fishing opportunities during the winter season. Anyone fishing or angling in British Columbia must have an appropriate licence. There is a concrete car ramp for boats. There is also a speed restriction of 20 km/h on the lake. There are potable cold water taps located throughout the campground. There are 34 picnic tables. The day-use is a large grassy area near the shore of the lake. Large fir trees shade some of the tables. There is a parking lot adjacent to the day-use. Next to the day-use is a picnic shelter. The picnic shelter contains 5 tables, counter space, a sink but no water hook-up and has lexan windows to provide protection from the wind. Pit toilets and flush pit toilets are located throughout the campground. Flush toilets are located in the day-use area. There is an adventure playground and two horseshoe pitches located near the centre of the campground, close to the day-use area. A user pay sani-station is located near the entrance to the park. There are vehicle accessible campsites with 21 double sites. Most sites will accommodate medium to large size recreational units. The sites are treed and provide a fair amount of privacy. With a small or medium sized camping unit, there will be room for a second vehicle. Campsite reservations are accepted and first-come, first-served sites are also available. During the shoulder season, if there are no staff at the gatehouse upon arrival, choose a site and pay later. Staff will be at the campground at least once a day. During the high season staff will occupy the gatehouse during the opening hours of the park and fees can be paid there. If you have a reservation, check the reservation board beside the gatehouse to learn which site has been allocated to you. The front gate is locked from 11:00 pm to 7:00 am. There is a resort five minutes from the park providing a few amenities. A pay phone is located at the entrance to the park. There are two recycle centres in the campground. There is no wilderness backcountry camping. There is a 240’ fishing wharf provided for physically challenged anglers. Some facilities and hiking trails in the park are wheelchair accessible, as are 2 stalls each in the flush toilet buildings.